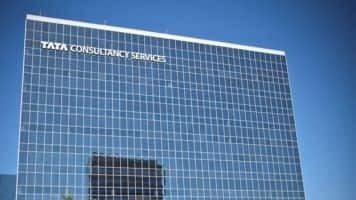 Tata Consultancy Service Ltd is an Indian International technological company where it provides IT, business and consulting services. The TCS company headquartered in Mumbai, Maharashtra state. The company is a subsidiary of the Tata Group and operating their services in 46 countries. Here you can get the TCS share price details along with the company information and more details. To get the live TCS stock price details and Share price of TCS, Click Here. Here you can also get the TCS share price history info. Follow the link and get the latest updates like TCS share price today updates from the Share holders. TCS is the one of biggest company in India by the Market Capitalization. Now the company is the most valuable brand from all over the world. The Tata consultany services share price is 70% generating from their parent corporation, Tata sons. The Tata sons group decided to sell the stocks of TCS by the worth of 1.25 billion dollars. In the Forbes ranking, the TCS got 64th rank as a most innovative company and also made as a best IT services company and Top Indian company. As per the revenue, the TCS is the 9th largest Information Technology provider in the world. The TCS India company also placed 10th rank in the Fortune 500 list. It is the first company in India to reach 100 billion dollars market capitalization in 2018. TCS company became Public Listed Company on 25 August 2004. In 2005 year, they entered into the bioinformatics marke. They also designed ERP system for Indian Railway Catering & Tourism Company. In 2011, the company entered first time into the small & medium enterprises market with the cloud technology based offerings. To provide the services for Indian Department of Posts, TCS signed the 6 years contract worth of Rs. 1110 crores. The company started to maintain a partnership with Aurus Inc., which is a payment based company.